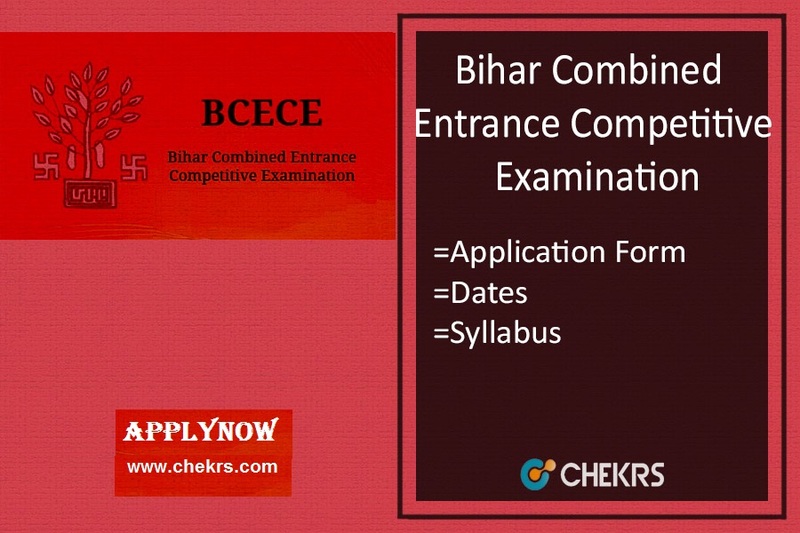 BCECE 2018 (बिहार संयुक्त प्रवेश प्रतियोगी परीक्षा): The Bihar Combined Entrance Competitive Examination is conducted for the students who are seeking admissions in engineering, pharmacy and agricultural courses in the state of Bihar. The interested students can apply for the BCECE Application Form 2018. The dates are not announced yet. The exam will be conducted in two round stage 1 and stage 2. The aspirants have to qualify both the stages to get admissions. The BCECE Admission 2018 will totally depend upon the marks scored by the candidates in the entrance exam. The aspirants are required to check the eligibility criteria of the exam before applying for the BCECE Online Registrations 2018. The forms will be made available in the 1st week of February. The last date for the submission of the application form is in the last week of February. The BCECE Application form Date will be announced along with the official notification. The aspirants have to follow some precise steps for the submission of the form successfully. Steps to submit BCECE Application Form. Then they have to open the “BCECE Apply Online” link present on the left side of the homepage. Now enter all your personal details carefully and correctly. Now attach a scanned copy of required documents, Photograph and signature along with the application form. Pay the required application fee via any online banking mode. Also, take a print of the generated application form for future reference. The fees can be paid via online banking modes. It can also be paid through Challan in any branch of SBI Bank. The aspirants who are applying for all the four courses have to pay Rs.730 (Rs.365 for SC/ST) for the form. The students have to check some eligibility norms before applying for the application form. The BCECE Eligibility Criteria is final and cannot be changed under any circumstances. The aspirant must be of Indian nationality. The aspirant must be a Bihar Domicile. There is no age limit for the admissions. The aspirant appearing/ Passed intermediate along with PCB for Pharmacy and PCM for Engineering from a recognized board. They must have scored minimum 45% marks (40% for SC/ST) on +2 level. The aspirants have to pass the qualifying exam at the time of counselling. The aspirants who are preparing for the entrance exam, they will require BCECE Syllabus Pdf for their preparations. It will help them to get information about the topics of the exam.